In May 2013 Carolyn presented a talk at Shrewsbury Museum and Art Gallery as part of their talks programme. She was invited to talk about her interest in art & science and how it evolved from her art practice to producing and presenting cross-disciplinary projects. The video of the talk will be available soon. 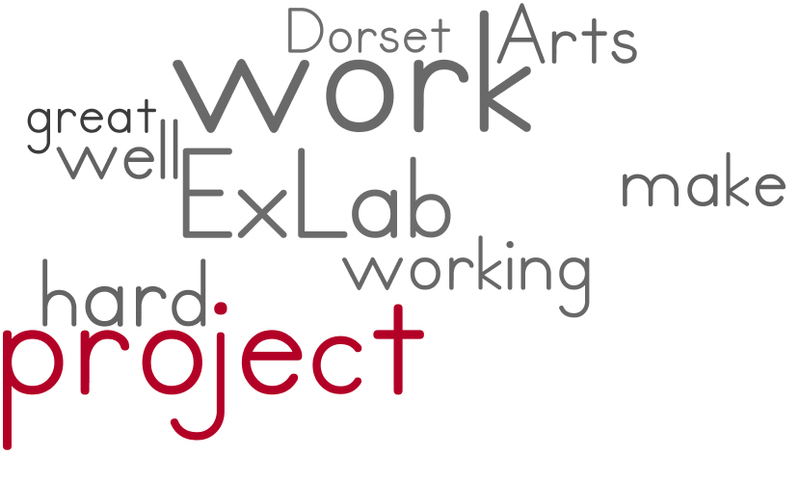 Dorset Visual Arts: On behalf of Dorset Visual Arts, a big thankyou for your hard work, leadership, and the experience and imagination that you brought to bear on ExLab. It is really appreciated. Bridport Arts Centre: Thank you for so much hard work and commitment to the project, and for justifying our feeling at the interview that you were the only person we saw who could not only do the job, but do it well! It’s been a pleasure working with you and I look forward to doing so again at some point in the future. B-side: It was great fun working with you as we both battled our way through the bureaucracy of Summer of 2012 in all its gloriousness! Thanks for all your hard work on ExLab, and I really hope we have an opportunity to work together again. Sherborne House Arts: The project needed a spirit to ignite its potential and I feel greatly privileged to have had the opportunity to work with you, like the west wind to our ashes and sparks. It would be wonderful to encounter such passion, with a method, more often. It was a tough call to manage all of us as well as a multi site project AND with the unexpected additional Olympic demands. Your generosity of spirit got us through some difficulties – maybe not everyone was aware of fully. It was a pleasure to work with you and I’m going to miss those long phone calls! Walford Mill Crafts: Thank you for helping us to achieve our Big Picture Project of Ex Lab and all that it entailed. ExLab has been an exciting project for us all and when you first took up the challenge I don’t think you quite realised the mileage you would cover because of the disparate locations and that you would be charging up and down the length of the county at such a pace! Diva Contemporary: Thanks for coming with us on the ExLab journey this summer and helping to sow some very positive creative seeds. We can all be proud of the work, which was delivered with your unending support – it was a challenge and you faced it head on! I’m certain the Artists, the Partners and the County will reap the benefit of the networks which have been established as a consequence of the project well into 2013 and beyond. For all your support and help to us, And the time you have given with little fuss. Your vision and all your tweets, Your doodles, clouds and other feats. All of this and more ensured success, of ExLab – and DLA no less! Good luck in all you plan to do, Ex Lab would not have happened but for you! Thank you to Big Picture for letting us share these.